Our Inspector has 25 years tradesman experience in Air Conditioning, Is a Mechanical Journeyman, has formal training in Building Construction, Residential Electrical Wiring, 25 years hands on experience in other areas like Roofing, Structural, Framing, Window Installation, and Plumbing. The best way to determine a home's quality, condition, and safety is to hire a Professional Home Inspector. Reliable Property Inspections, Inc. is always available for Fast Reliable Service and will provide you with a Professional Home Inspector who has 25 years tradesman experience. An Inspector who will evaluate the components of the house and how each component affects the lifespan and operability of other components as a system. 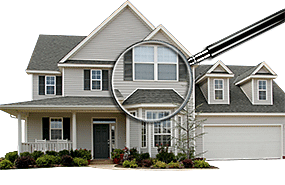 Reliable Property Inspections, Inc. conducts a thorough home inspection and is dedicated to doing quality work. Reliable Property Inspections, Inc. will then provide you with a comprehensive written report based on the home's condition at the time of the Visual Inspection which will be emailed, faxed or delivered to you within 24 hours. Service entrance, main panel / sub panels, grounding, outlets, GFCI's, connected devices and fixtures. A Comprehensive pre-purchase inspection for an average South Florida Home typically costs $300 for properties up to 2000 square feet and takes about two to three hours. We will respond to your request within 24 hours and ofen perform the inspection within that time frame. Our name says it all. We show up when we say we will. No excuses! We have over 25 years in the home inspection business and related trades. We're proud of our large number of satisfied clients. A large portion of our business comes from referrals.